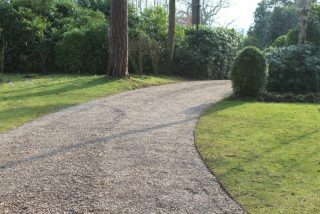 Gravel is an aesthetically pleasing surface for garden paths and driveways. 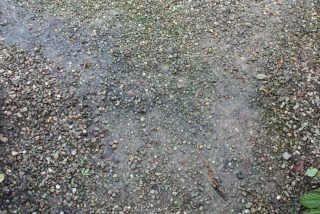 It does, however, require a fair bit of effort to maintain the desired ‘crisp’ appearance. 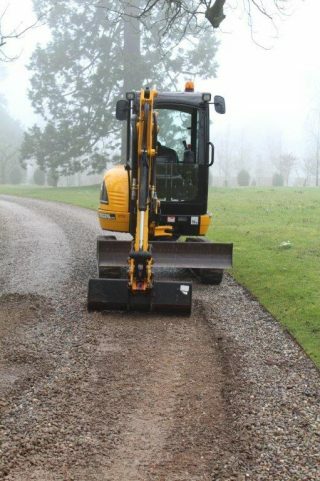 To create a solid surface and to prevent skidding, the gravel on all paths at Morton Hall is only one layer deep. This means that it does not take a lot of traffic on the path before the substructure becomes exposed. 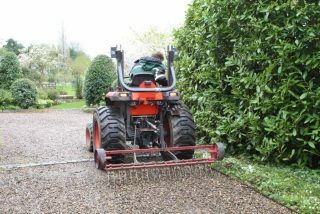 For regular maintenance purposes, the gravel is raked with a three-pin rake attached to a tractor rake. 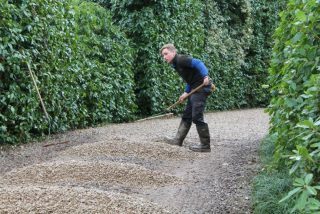 Raking gravel with a harrow. 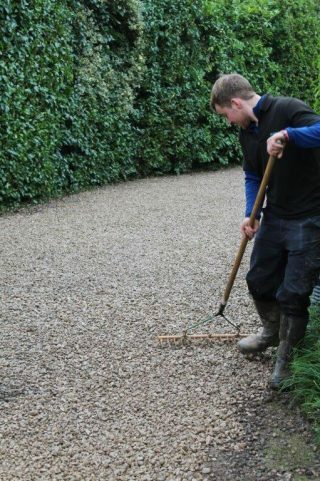 Every few years, however, a more drastic overhaul is required when the surface looks very patchy and a lot of mud has seeped in between the pebbles. 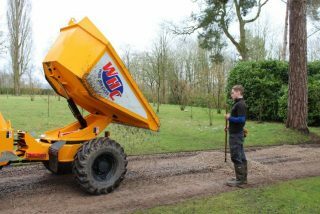 As a first step, the mixture of gravel and mud is scraped off with a digger. 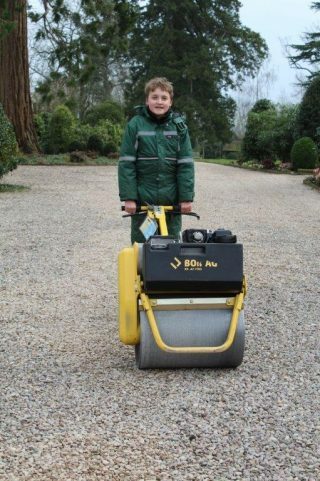 As a final touch, the gravel is compacted using a vibrating roller, which can be used even by the youngest member of the garden team!